Over 50 years of versatile experience in Hotel & Hospitality Industry through assignments in India and overseas. 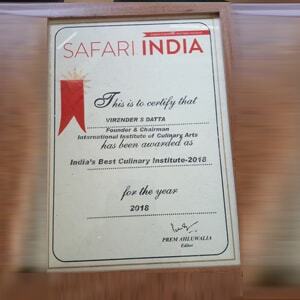 Starting as graduate of Hotel Catering Institute of India and Oberoi School of Hotel Management, has held diverse and challenging job positions including Executive chef, General Manager of Hotels, Founder President of Fortune Park Hotels, the wholly owned subsidiary of ITC Hotels Limited and other corporate assignments. Assignments in Jaipur, Hyderabad, Mumbai & New Delhi. You are at the cross roads of making the most crucial decision of your life, the choosing of a career. I recommend hospitality/ hotel industry as it is today, the fastest growing market in the country. 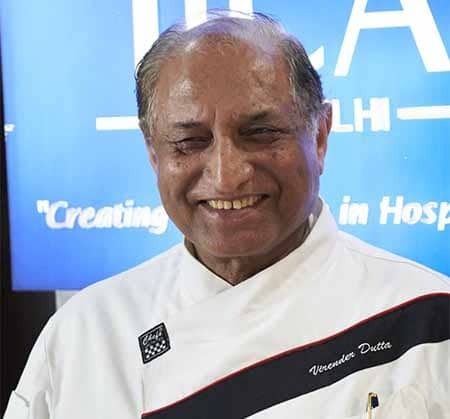 I take this opportunity to introduce to you the International Institute of Culinary Arts, New Delhi. IICA is the next generations’ culinary institute founded and operated in collaboration with highly reputed international partners. The institute boasts of state of the art learning facilities and highly experienced professional faculty. 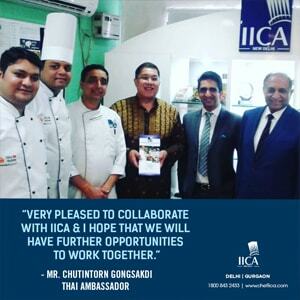 At IICA we are committed to developing Hotel Professional with specialization in Culinary Arts to meet the ever growing needs of the Hospitality Industry, worldwide. IICA, in partnership with Edexcel, UK, shall be conducting 2 year International Chef Development program. This qualification will entitle the students for International study options and work opportunities. Just step in and we shall guide you through the best option that suit your aspirations and requirements. Diploma in Specialized Hotel Management from Institute of Hotel Management, Catering and Nutrition, Pusa, New Delhi. Graduate- Hotel Catering Institute, U.K.
Advance Training in Hospitality Management - Germany and France (Food Production & Management Specialization). 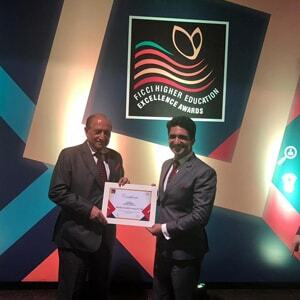 FHCIMA - Fellow Hotel & Catering Institute & Management Association, U.K.
CHA - Certified Hotel Administrator, American Educational Institute, U.S.A.